DW editor Rachel McLaughlin goes for a glittering gel polish at Patrick Gildea Hairdressing. The gel nail trend is not going anywhere fast, and I love the endless colour and design options we can get now. If you’re like me, you’ll spend the day before a nail appointment doing some sneaky scrolling on Instagram for inspiration… and treat it like a serious research project. This week I was excited to visit Patrick Gildea Hairdressing in Letterkenny to see all the colour options they had for a mani-pedi. With a number of formal events coming up, I was drawn to metallics and sparkle, and beauty therapist Kim Kelly was full of ideas to match everything together. The Allure beauty salon at Patrick Gildea is a beautiful space at the back of the salon, but they can also do manicures on guests while they get their hair done. So you’re saving time and getting pampered all over! Patrick Gildea and Allure are known for using premium brands, for nails they use OPI professional polish. They have a mix of beautiful, bright and deep tones. I chose a pearly rose gold for my hands and shimmering wine for the toes. 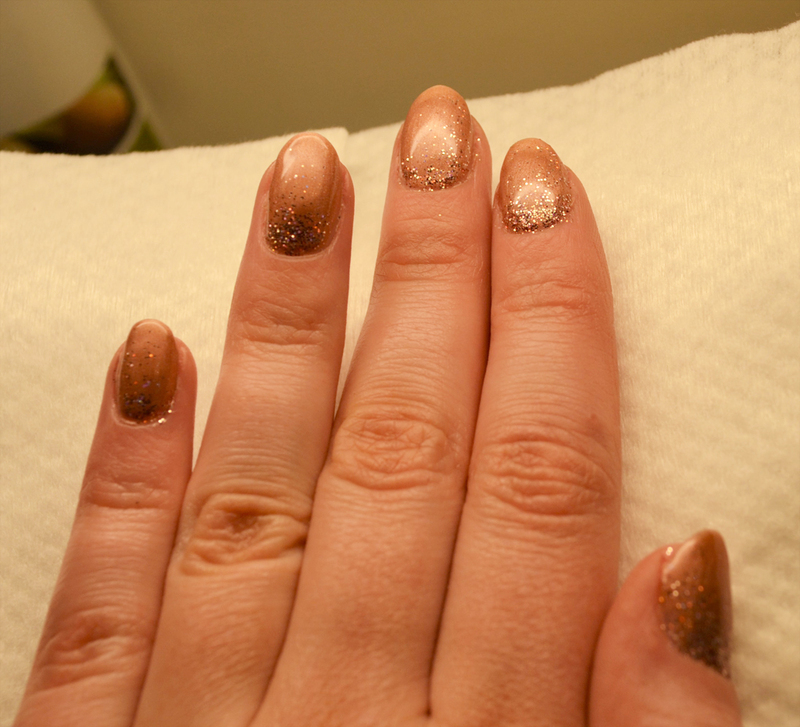 Kim added a rose gold glitter powder for an extra touch of sparkle and I loved the finished result. 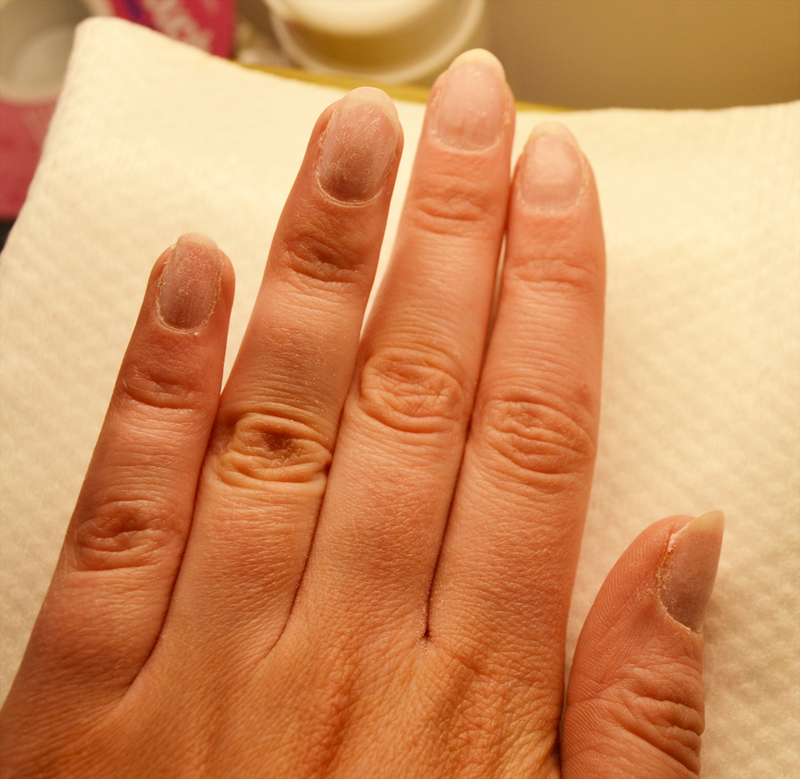 It took just under two hours for both mani and pedi, along with a previous gel removal. This was my first time ever getting a gel pedicure, but I think I’ll be hooked after seeing how quickly it’s done. The OPI lotion that Kim applied afterwards was a lovely little extra too. These OPI nails will last two weeks and there is a free removal included. Gel Polish at Patrick Gildea costs €35 per set. It’s just one of the many extras that guests can get at the salon now, with premium makeup, skincare and beauty treatments at Allure, it’s a real one-stop pamper shop. For bookings call 0749125476 and check out www.patrickgildea.ie for everything on hair styling, pricing and news from the salon team. DW reviews are in collaboration with Patrick Gildea Hairdressing, but all opinions are my own.